De La Riva Guard Straight From The Fountain. 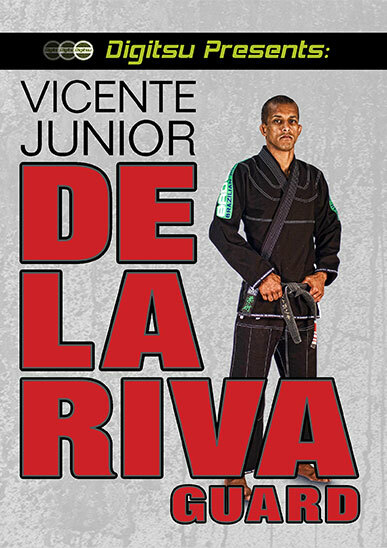 Fourth degree black belt and 7X IBJJF Pans Jiu Jitsu Champion, Vicente Junior is one of the most competitively active Ricardo De La Riva representatives in the United States. In his first-ever feature length instructional series, this life-long DLR guard player shows you step-by-step how to develop a super effective open guard game from the ground up. These lessons are perfect for all levels. Beginners, you will pick up and apply the concepts instantly. Advanced players, you will find hidden gems and blow up your game right away!